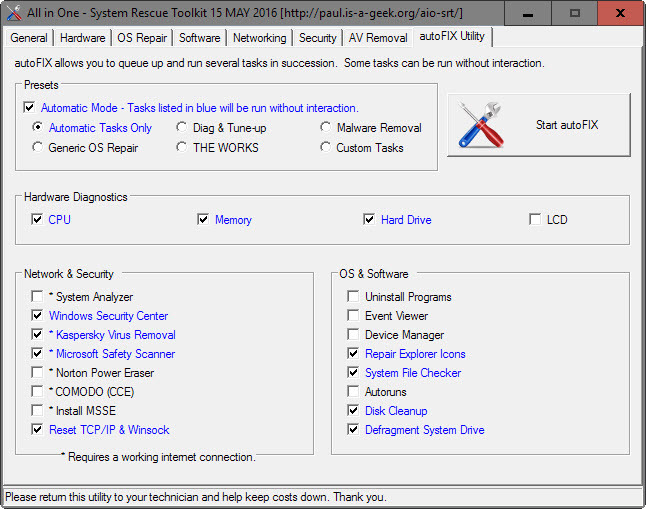 All in One – System Rescue Toolkit is designed to quickly and efficiently aid a technician with troubleshooting and repairing Windows based PCs. 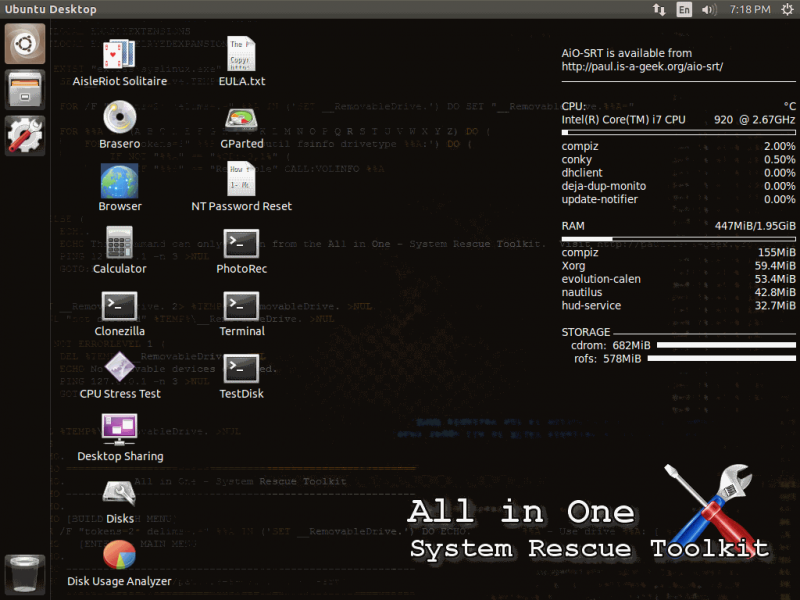 The All in One – System Rescue Toolkit is designed to work with Windows XP / Vista / 7 / 8 / 8.1 / 10. It has also been used with Windows Server 2003 / 2008 / 2008 R2 / 2012. The live CD bootable environment may work with GNU/Linux and newer Macs as well.